Home Safety News How Safe are Wireless Home Security Systems? How Safe are Wireless Home Security Systems? Many home security systems offer great technology features, including wireless systems. But with a system that runs off of cellular service and isn’t hardwired to a phone line, you may be wondering if it’s safe and secure. We are here to answer your questions and explain the features and benefits of having a wireless home security system installed in your home. One of the primary benefits of a wireless home security system is their non-dependence on traditional phone lines. A standard means of bypassing wired security systems by professional burglars is to cut the phone lines outside the house and wait to see if the police are dispatched. If no one shows up, they know they can enter the home with little to no worries. With no external phone lines to cut, homeowners who opt to protect their homes with a wireless home security system have one less thing to worry about. It also means having one more tool to fend off burglars and other potential home invaders. When a wireless home security system is paired with cellular communication, there is little that can cause this system to become inoperable. With good battery backup, which is included with virtually every wireless home security system, not even a power outage will cause this type of system to become useless. This is because wireless systems aren’t dependent on the power grid, the public telephone system, or even the Internet to work. Just as your cell phone works in a power outage, so will a wireless home security system. 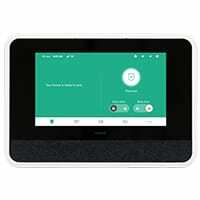 This not only ensures your home will be protected when burglars are on the prowl in the dark, it will also be in communication with the monitoring center. In the event of a break-in or other emergency situation, emergency response personnel will still be dispatched to your location. In the early days of wireless home security systems, the type of technology used was a manual, time consuming, and overall quite limited in its capabilities. Switch settings on the devices and components, determined by the homeowner, and were used to set an address or channel of sorts whereby each security component could communicate with the control panel. Every component with the same switch setting could communicate with any other device with the same setting. The problem with this setup was the likelihood a nearby neighbor was using a similar electronics like an identical home security system, a remote control of some sort, or even a garage door opener that communicated on the same channel. Your next door neighbor could literally set off your home security system every time he used the remote to open his garage door. Today, no such incompatibilities can exist with wireless home security systems because each device and component is serialized to work only with the control panel. Nothing else can interfere with this secure communication, which means each sensor and each wireless key fob programmed into the control panel are the only devices that can communicate on the system. No more inadvertent interference from neighbors, and no more enterprising burglars trolling neighborhoods with their collections of remote controls. 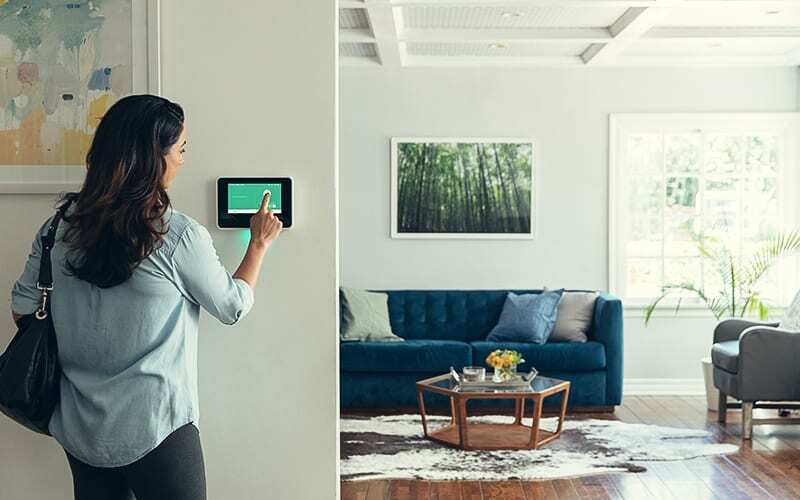 Wireless home security systems, like those offered by Vivint and ADT, include excellent features and many advantages over their wired counterparts. Check one out today and start protecting your home and your family with state of the art wireless technology.